Focal, porcelain, multicolored, 37x35mm top-drilled shell. Sold per pkg of 3. 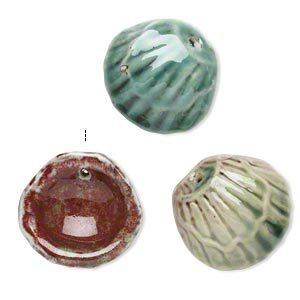 Ceramic beads are glazed with multi-toned colors that vary along the shapes and contours of the beads. Colors, shapes and sizes may vary in each lot. 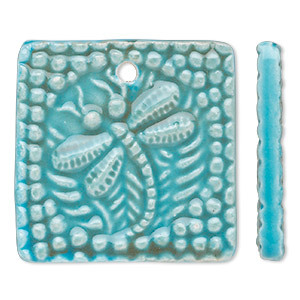 Focal, porcelain, turquoise blue and brown, 40x40mm double-sided top-drilled textured flat square with dragonfly design. Sold individually. 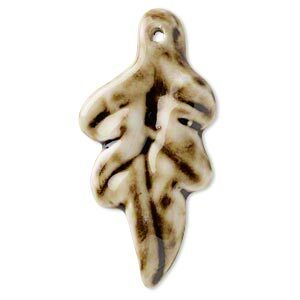 Focal, porcelain, light brown / brown / dark brown, 48x23mm single-sided leaf. Sold individually. 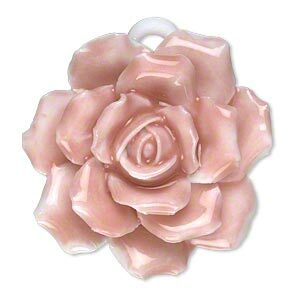 Focal, porcelain, pink and white, 36x36mm-44x44mm single-sided rose with partially hidden loop. Sold individually. 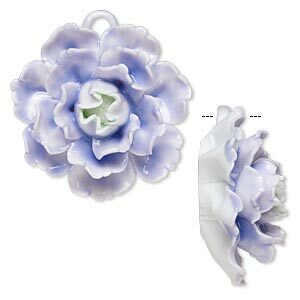 Focal, porcelain, lavender / green /opaque white, 42x41mm-48x47mm single-sided carnation with partially hidden loop. Sold individually. 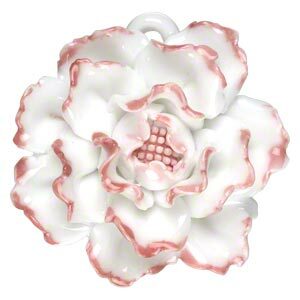 Focal, porcelain, pink and opaque white, 41x40mm-45x45mm single-sided carnation with partially hidden loop. Sold individually. 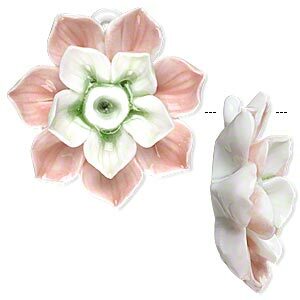 Focal, porcelain, pink / green / white, 38x38mm-42x42mm single-sided lotus with partially hidden loop. Sold individually. 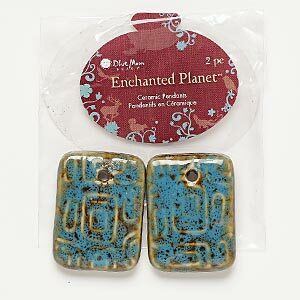 Focal, Blue Moon Beads®, porcelain, honey and dark aqua, 34x25mm rectangle. Pkg/2. Minimum 2 per order. 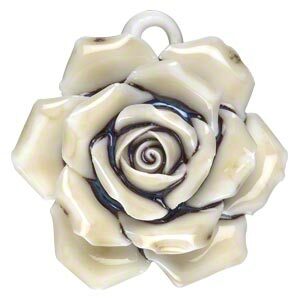 Focal, porcelain, light yellow / dark blue / opaque white, 38x38mm-43x43mm single-sided rose with partially hidden loop. Sold individually. 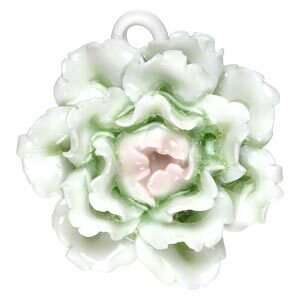 Focal, porcelain, green / pink / opaque white, 38x38mm-43x43mm single-sided carnation with partially hidden loop. Sold individually. 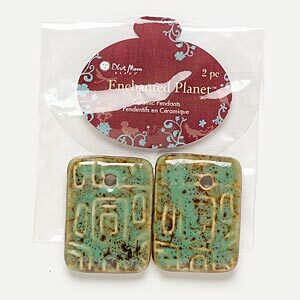 Focal, Blue Moon Beads®, porcelain, honey and green, 34x25mm rectangle. Pkg/2.